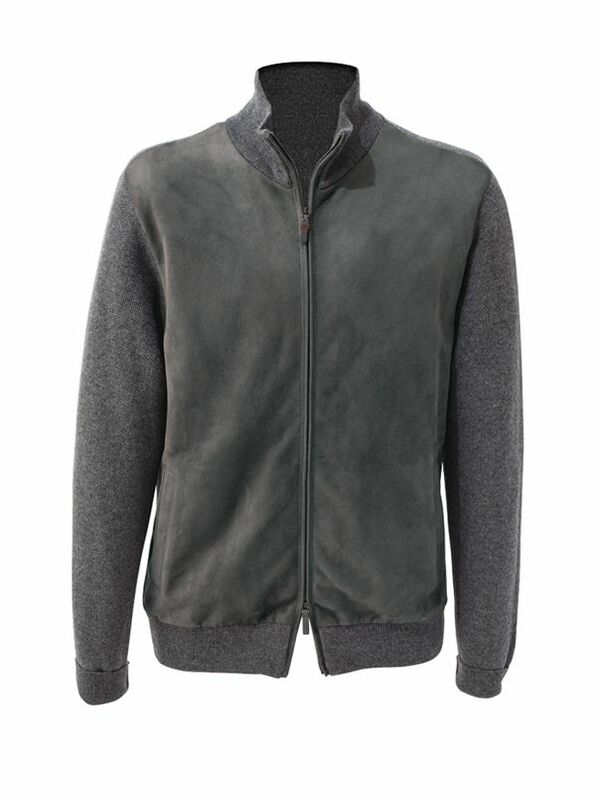 Luxe Zip Cardigan by Barbera is a blend of 70% cashmere/30% silk knit and softest lambsuede. Made in Italy with cashmere/silk sleeves, waist, collar, with suede front. Two-way zip front. Luciano Barbera celebrates the intelligent spirit of the individual, with clothing that realizes traditional values with modern fabrications. Always Entirely Manufactured in Italy, everything Barbera is designed to become a personal extension of the person wearing it.